Stacy McAnulty is the author of the new children's picture book 101 Reasons Why I'm Not Taking a Bath. 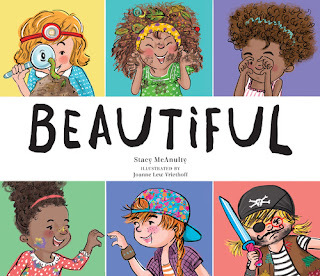 Her other kids' books include The Dino Files series and Beautiful. 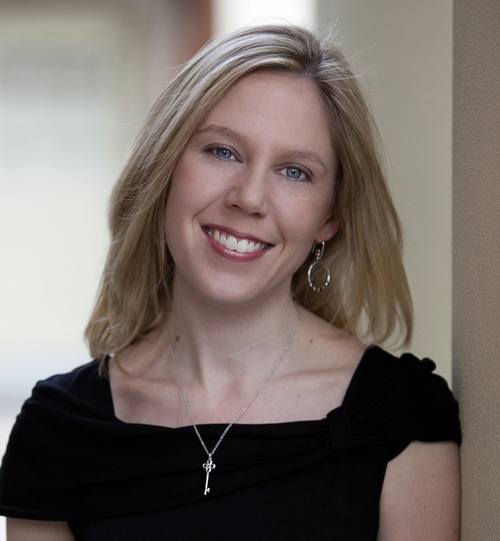 She lives in Kernersville, North Carolina. 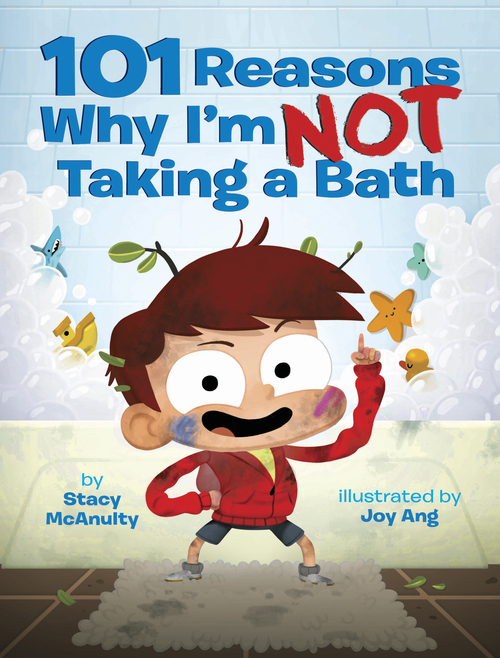 Q: How did you come up with the idea for 101 Reasons Why I'm Not Taking a Bath, and did you use some of those excuses when you were a kid? A: This book started as a game I was playing with my kids. When they didn’t want to do something like go to bed, I made them give my 101 (original) reasons why they shouldn’t have to. And I don’t remember making excuses to avoid the bath as a kid. I do remember trying to trick my mom. I’d run the water and make splashy sounds, but I wouldn’t get in the tub. She was always on to me. Moms are smart. Q: At what point did you see the illustrations for the book, and what do you think they add to it? A: I happened to be visiting NYC when the final art for this project was completed. The editor, Maria, invited me in to see it. I think I just giggled the whole time. Seeing the illustrations for a manuscript you wrote is an incredible experience. Pure joy and awe. Maybe it’s similar to seeing your daughter try on wedding dresses. Q: As someone who's written picture books and chapter books, does your writing process change depending on what you're working on? A: Sort of. With a picture book, if something isn’t working, I’ll put it aside and hope that the solution will present itself as if by magic. For chapter books, I’m more likely to keep pushing. I’ll rewrite scenes. I’ll create new scenes. I keep at it and don’t put it aside. I also use outlines for chapter books, but obviously don’t do that for picture books. Q: Who were some of your favorite authors as a child? A: I wasn’t a huge reader as a kid. I really struggled with reading and didn’t enjoy it until high school. I did love being read to. My elementary school librarian was excellent at reading Shel Silverstein and my teachers shared lots of Judy Blume. A: I’m just wrapping up a middle grade novel that I think/hope is pretty special. I continue to work on picture books almost daily. (I’ve recently fallen in love with non-fiction.) And I’m writing the chapter book series for the toy company Goldie Blox. It’s a brand I really believe in. A: I have a dino-sized giveaway coming up in October. 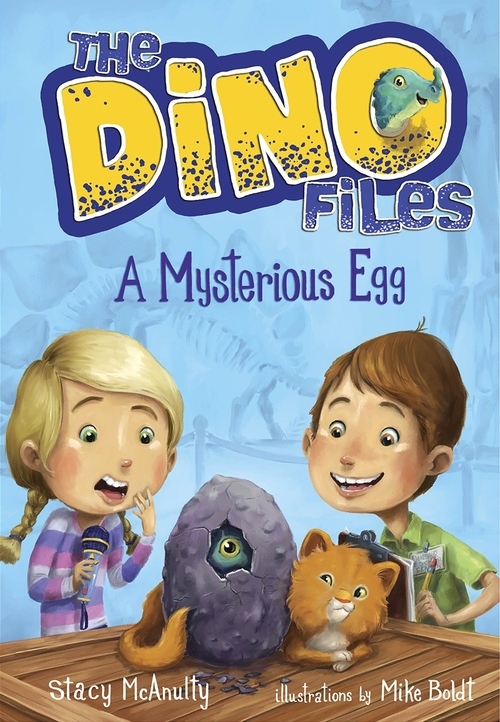 Every day one classroom will win all three Dino Files books. It’s my way of helping build classroom libraries. Parents, teachers, and librarians can enter at www.thedinofiles.com.